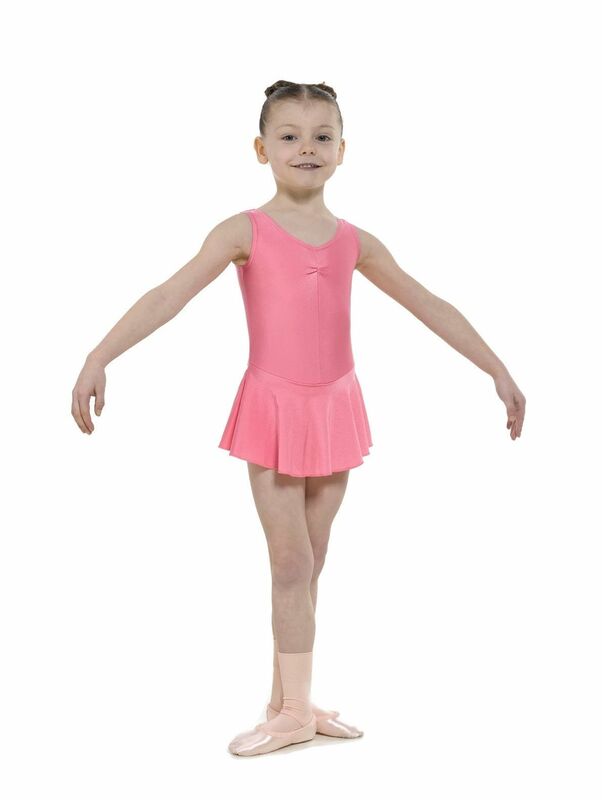 From the Tappers and Pointers Classic Dancewear Collection this gorgeous sleeveless leotard has a ruched front neckline and an attached skirt. This leotard is made using an 80% nylon, 20% Lycra fabric. Available in raspberry, this style is suitable for ISTD and NATD regulation wear. Children vary greatly in height and size please use the ages/sizes as a general guide for "average" sized children. This style runs small and we usually find it is best to go up a size.